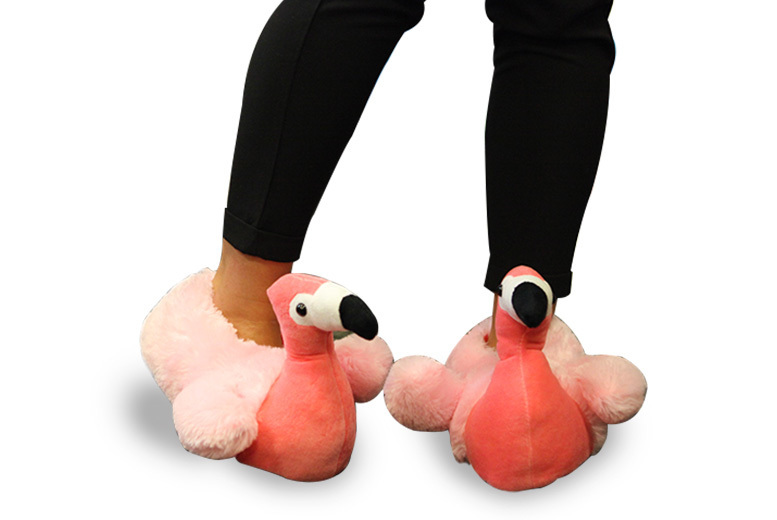 Get an adorable pair of flamingo slippers! Plush flamingo design made with soft fleece. Hot pink colour with flamingo neck and wings! Available in sizes small-extra large! An adorable gift for all the family!